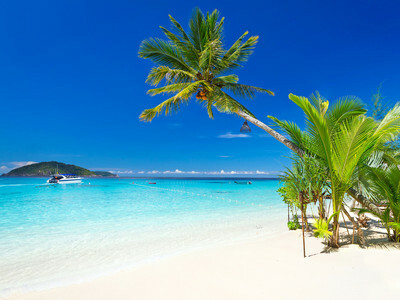 Pristine beaches, crystal-clear waters and glorious tropical sunshine await on the magical Caribbean island of Jamaica. Take a look at our fabulous range of 3-star hotels and resorts and start planning your dream holiday today. Escape to the paradise shores of the Caribbean for a divine 4-star holiday on the captivating island of Jamaica. We have a range of fabulous hotels and resorts for you to choose from. Let all your cares drift away as you experience pure luxury during an enchanting 5-star holiday in Jamaica. Here are our top picks for a phenomenal Caribbean getaway. Jamaica is one of the Caribbean’s most famous islands and with a cultural influence that has transported around the world. This grandly beautiful country is packed with a variety unmatched in the region. 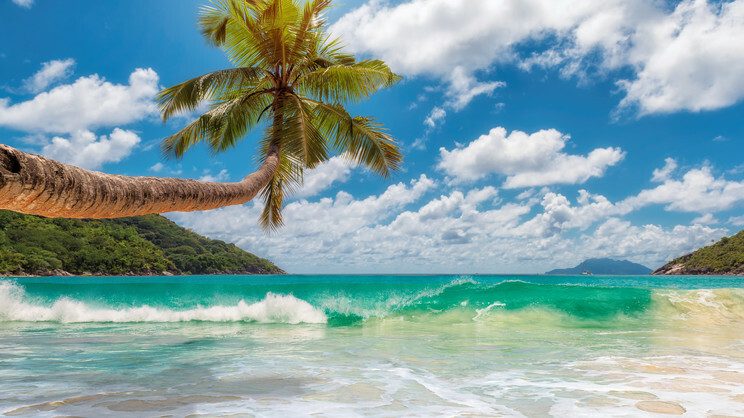 Brilliant beaches and beautiful green mountains create picture perfect backdrops for a perfect Caribbean experience, while it’s rousing culture, relaxed resorts and exceptional cuisine, make the island a truly unique experience – one of vibrancy and relaxation. Jamaica offers the unique choice of a holiday packed with luxury and relaxation or one packed with adventure. Flights: You can fly to Jamaica from various UK airports, including direct options from Birmingham, London, Glasgow and Manchester. Passport/visa requirements: Your passport must be valid for the duration of your stay. Packing essentials:June to November is hurricane season, so prepare for thunderstorms and remember to take a waterproof jacket. Jamaica usually has sun all year round however, so sun cream is vital, as is cool, light clothing. The weather in Jamaica is quite varied. December to March is the high season when the climate is relatively comfortable and the weather is drier. April and May are still a great time to visit, although there is some likelihood of rainfall. 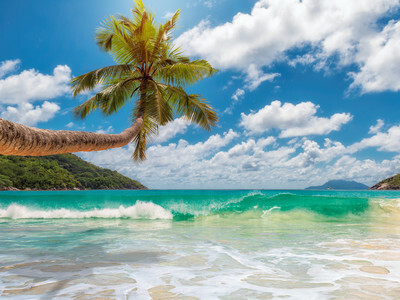 Hurricane season is between June and November and there is a risk of tropical storms, even though the locals and hotel staff are extremely experienced at handling this weather. Jamaica offers some breath-taking beaches to choose from. Offering some brilliant places to relax and unwind, with exceptional lagoons and diving experiences throughout the island, you’ll never be struggling for a perfect place to relax and unwind next to the warm pristine waters while on the island. The most famous of these beaches is the famous Seven-Mile beach on Negril. This world-renowned location is a fantastic and busy beach, bustling with holiday makers making the most of the Jamaican sun, or experiencing one of the many water activities the beach has to offer – from snorkelling and a host of diving trips. The resort town boasts a laid-back vibe and striking cliffs, making sunsets here a sensational dusk-time experience, set to the local rhythms of reggae and rum. Away from the beaches, Jamaica offers the opportunity to experience its famously laid-back culture and intriguing history. The island’s tourist hotspot is Montego Bay. Bustling with tourists and fantastic resorts, it offers visitors a fantastic range of activities and, again, some brilliant diving opportunities. The surrounding waters are crowded with marine life are a highlight in the area. It offers a great nightlife – as most of Jamaica does – with a lively main strip filled with great local bars and restaurants and has some great attractions on offer to keep the busy tourist trade filled with things to do. For cuisine, Boston Bay is where Jamaica’s heart is. An extraordinary sensory affair, Boston Bay is the supposed birthplace of jerk spice rub and the turnoff of the town is a vibrant place lined with stalls for your taste buds to explore. Exploring inland there are some wonderful natural features to look into. A rafting excursion down the island’s Rio Grande. This great experience can be charted from most resorts and has become a tourist must-do. As is a trip to the beautiful Reach Falls, just south. Hiring a guide can take you to the island’s most beautiful waterfalls – in a land that has many – and is well worth the trip to experience this beautiful natural feature from right up close in the mountain freshwater pools. North, a hike up Blue Peak Mountain is also a firm favourite. A trek through Jamaica’s inner forest up to some spectacular views makes this another great way to spend a day or evening, emerging with brilliant views of the Caribbean, Cuba and beyond. Jamaica is a varied island that accommodates those looking for a luxury Caribbean experience, fantastic adventure or a vibrant and enriching culture. Brilliant beaches and resorts are bolstered by Jamaica’s unique character as a laid-back rum drinking, reggae dancing gem, while inland you can explore the island’s diverse and wonderful landscape. 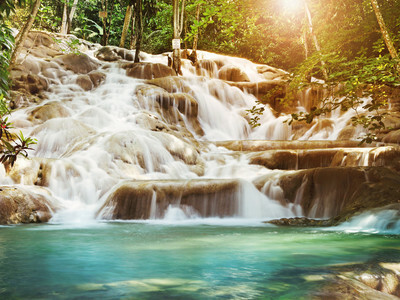 Jamaica is rightly one of the region’s most famous destinations and has so much on offer you’d be hard pressed to find a better place to fulfil all you could want from a Caribbean holiday. For more information on Jamaica holidays, call Destination 2 on and speak with one of our friendly and knowledgeable travel experts. Jamaica has had a long history of top-quality sprinters in athletics, but none more so than the multiple World Record Holder – Usain Bolt. One of the most famous sportsmen on the planet, Lightning Bolt well and truly put the island nation on the world map after his heroics at Beijing 2008, London 2012 and Rio 2016. If you find yourself in Kingston, head to Independence Park (National Stadium) and watch the stars of both today and tomorrow training on the track and field. It is of course the national sport of the Caribbean, and cricket is of great importance to the Jamaicans. Their very own pilgrimage is to the state-of-the-art Sabina Park where various international and domestic matches are played. Around the island you’ll never be far away from impromptu games of cricket between children and adults alike, all trying to recreate what their heroes do day in, day out. Some of the best West Indian stars have come from Jamaica, including Courtney Walsh, Michael Holding, Jimmy Adams and Chris Gayle. They may not have the greatest of pedigree on the international stage, but Jamaica can certainly hold their own on the football field. The national team even managed to make the 1998 FIFA World Cup, where despite exiting at the group stages, secured a memorable 2-1 victory over Japan. When you hit the beach in Jamaica you can expect laidback hours of sun-drenched relaxation. The most well-known stretch of sand on the island is that of Doctor’s Cave beach. Located In the heart of Montego Bay, the beach was named after a physician who helped form a swim club donating his hut/cave. The club still exists today. To keep the stretch so well maintained, users of the beach have to pay a small daily fee to benefit from the facilities. It’s well worth it, however, as changing rooms are provided and there are a number of food and drink outlets on offer nearby. A well-kept secret among locals are the tranquil shores of Cornwall Beach. Located within walking distance of Doctor’s Cave, this is another spot where you have to pay to gain access. However, you can’t put a price on the calming waters and peace and tranquillity offered by Cornwall Beach. It has shallow waters so is perfect for swimming. Still not sold? Well, on certain Sundays, you can enjoy bottomless (yes, bottomless!) Appleton Estate rum thanks to the sunset beach party. Another option is the longest and possibly one of the most beautiful stretches of sand on the whole island – Seven Mile Beach, in Negril. You’ve probably guessed how far it stretches along the coastline, but the beach is also full of relaxing spots, designated nudist areas and a typically free-spirit attitude.